Christians often debate the orthodoxy of the tithe. This is always a debate by interested parties. It often gets into fine points of distinction that would make a lawyer proud. But is it the proper way to think about money? When I turn to John Wesley for guidance on this point, I find he was not an advocate of the tithe. Indeed, he had a much more all encompassing view of the Christian use of money, which his sermon “The Use of Money” sums up nicely. The directions which God has given us, touching the use of our worldly substance, may be comprised in the following particulars. If you desire to be a faithful and a wise steward, out of that portion of your Lord’s goods which he has for the present lodged in your hands, but with the right of resuming whenever it pleases him, First, provide things needful for yourself; food to eat, raiment to put on, whatever nature moderately requires for preserving the body in health and strength. Secondly, provide these for your wife, your children, your servants, or any others who pertain to your household. If when this is done there be an overplus left, then “do good to them that are of the household of faith.” If there be an overplus still, “as you have opportunity, do good unto all men.” In so doing, you give all you can; nay, in a sound sense, all you have: For all that is laid out in this manner is really given to God. You “render unto God the things that are God’s,” not only by what you give to the poor, but also by that which you expend in providing things needful for yourself and your household. The key word in that last sentence is “needful.” Wesley would warn us — and does in this very sermon — against indulging ourselves. Plain clothing. Plain food. A modest home. What we need to spend so we may have proper rest and health. What we need to spend to set ourselves and our children in a gainful mode of business. These are needful. As for the notion of the tithe, Wesley has no time for it. For Wesley, the issue was simple. It was not a matter of carving out a certain proportion of our worldly goods and handing them over to God so we might do what we please with the rest. We are not supposed to grudgingly or joyfully hand over a portion of “our” wealth or time or zeal to God. We are rather instructed to understand that all that we have is God’s. Every penny we spend should be spent with an eye to God. No simple formula buys us out of that obligation. 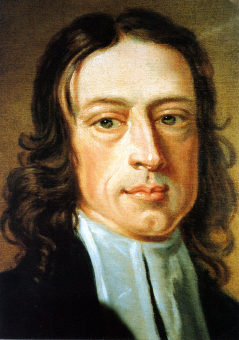 Posted on May 17, 2011 by John MeunierPosted in Methodism, MoneyTagged john wesley, Tithe.